In February 2016, GTRC has launched an important initiative where they put a good investment behind its people. 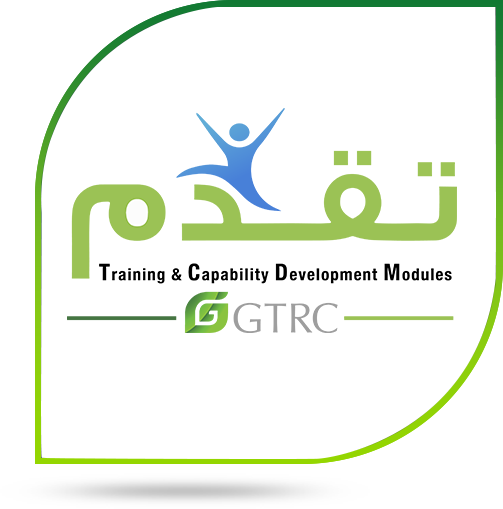 TCDM تقدم is a unique program with a supportive approach to employees in their career development. It strives to assist employees on the road to success by providing the learning interventions that are in support and in line with GTRC’s business goals. The learning and development pathways are identified across all levels within GTRC. It includes orientation of the company fundamentals, emphasis on AI values, integral trainings relevant to Fast Moving Consumer Goods being the mandatory and continuous learning programs across all positions and grade. TCDM تقدم is a program that is win-win-win. Win for the Career of the employee, Win for the Customer experiencing the utmost service and Win for the Company in advancing its business. This people initiative is focusing on the core asset of GTRC’s enterprise. As most of AI values dwell on having a stream of talents, hence developing them is critical to ensure that they operate effectively and contribute efficiency on business processes. TCDM تقدم is the right step forward to assure that this momentum continues at GTRC.